We’re updating the look of our sauces and salad dressings in 2019, but they are the same recipes you know and love. Sauce supporters and salad dressing devotees everywhere: listen up. 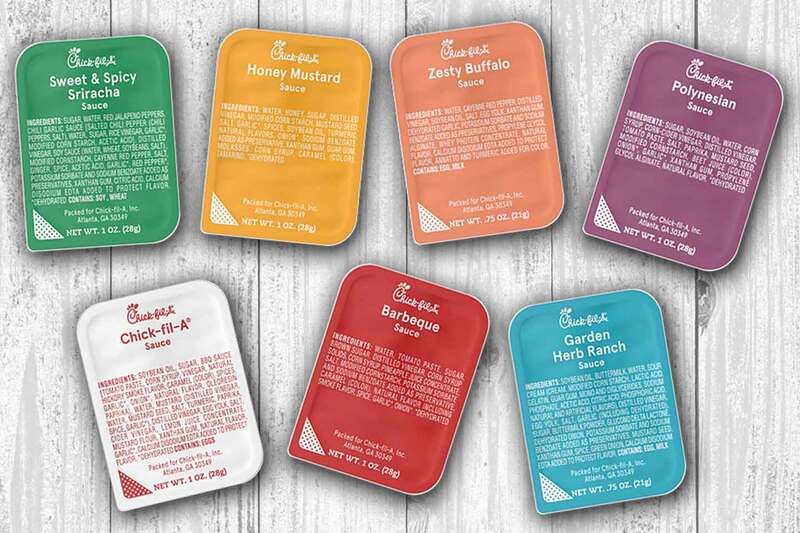 Chick-fil-A salad dressings and sauces will have a new look come January 2019. There’s no need to panic. 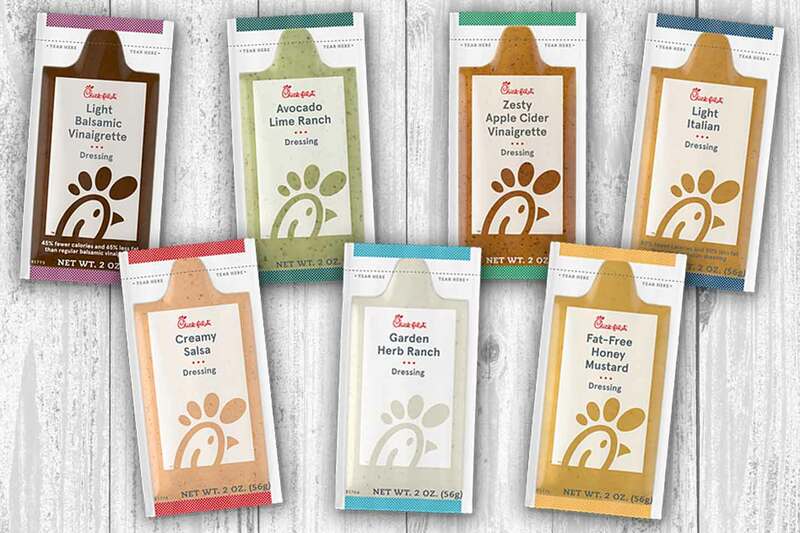 This refresh is strictly limited to appearance, meaning that the ONLY thing changing about Chick-fil-A’s sauces and salad dressings is the packaging. Why, you ask? We’ve recently updated the look and feel of our brand. You may have noticed some of the changes; as our website, menu boards and other packaging have already been updated to match the brand’s new look. The new sauces and salad dressings are the last leg of these brand-wide appearance upgrades. The new fleet of dressings and sauces (pictured below) is exactly the same in size, ingredients and flavor. The only difference: the new graphics featured on the packaging, so you can rest assured knowing your favorite sauce or dressing will have the same flavor you know and love. So, whether you savor our sauces or prefer to dabble with our salad dressings, look for the new packaging to debut across restaurants nationwide in January 2019.